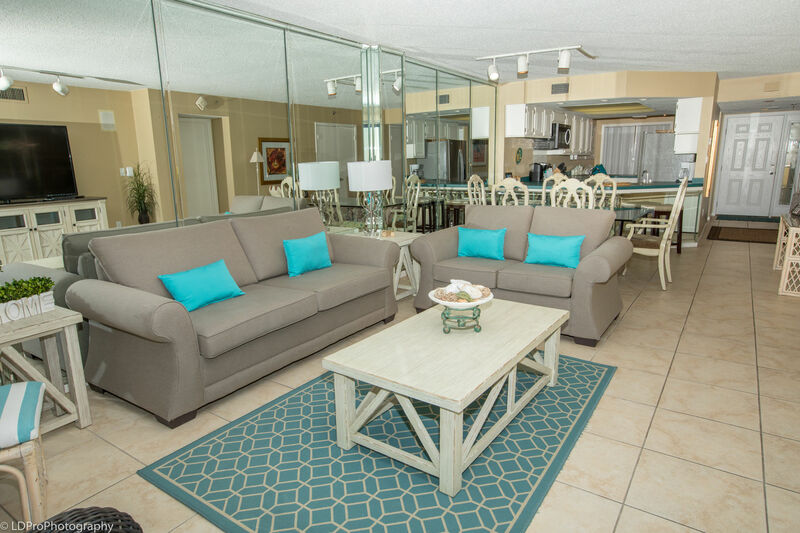 Inlet Reef 503 - Holiday Isle Properties, Inc.
Have a look at this spacious two-bedroom, two-bathroom beachfront condo that sleeps six at Inlet Reef Club, Condo #503. 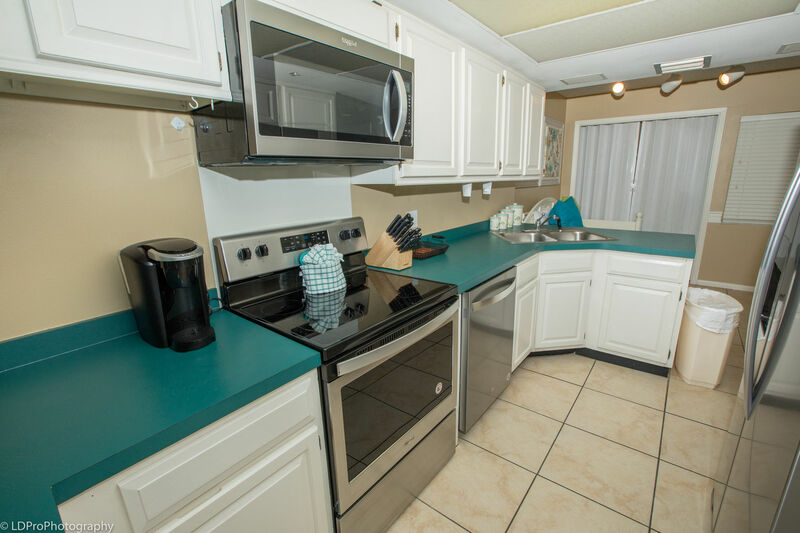 The Kitchen has plenty of counter space with all brand new (2018), full size appliances, and all the pots, pans, dishware, and silverware needed to prepare your favorite meal. 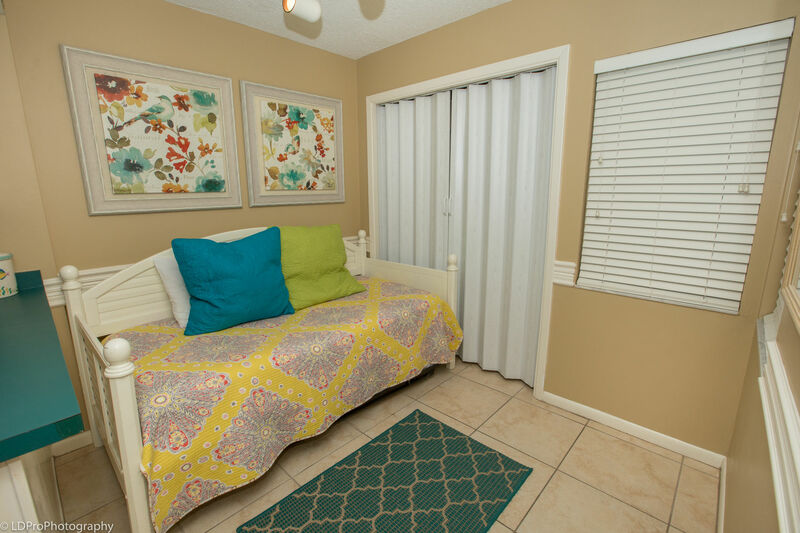 Adjacent to the Kitchen there is a bonus room with a Daybed and a Trundle. 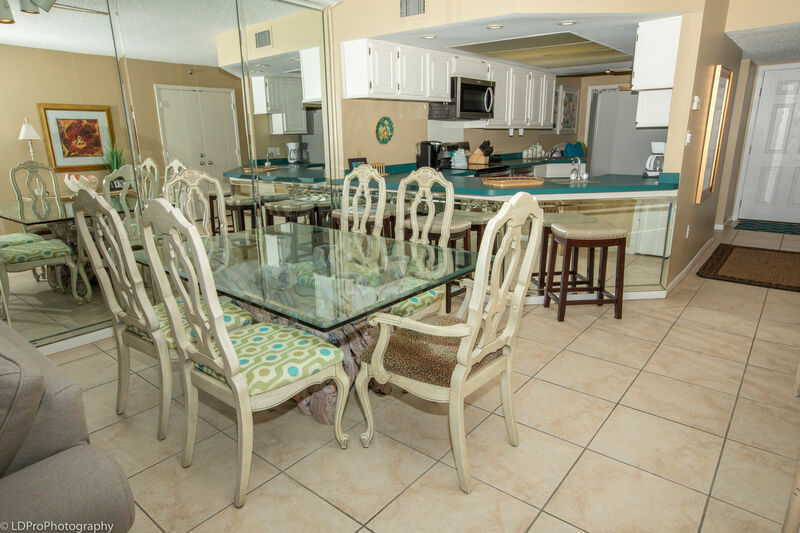 On the other end of the Kitchen is the Dining Area, complete with a large rectangular table that seats six guests with ease. 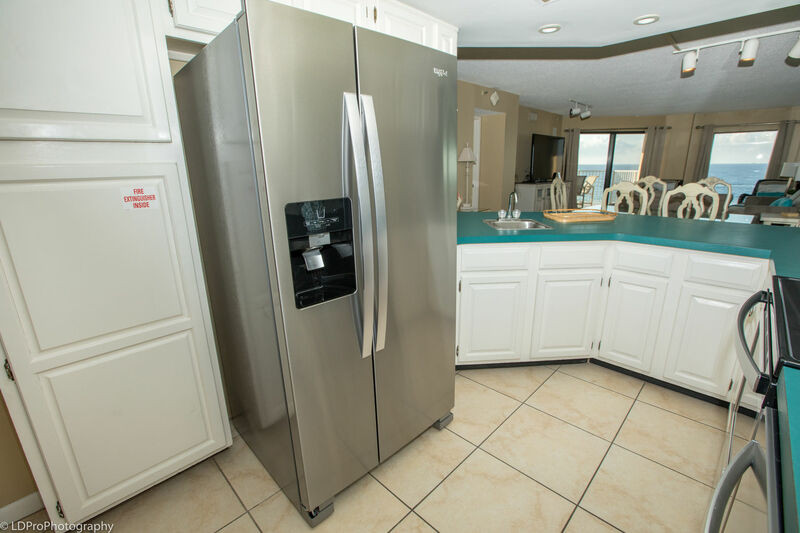 The Kitchen’s bar can sit three guests, so you will never have a shortage of eating space. 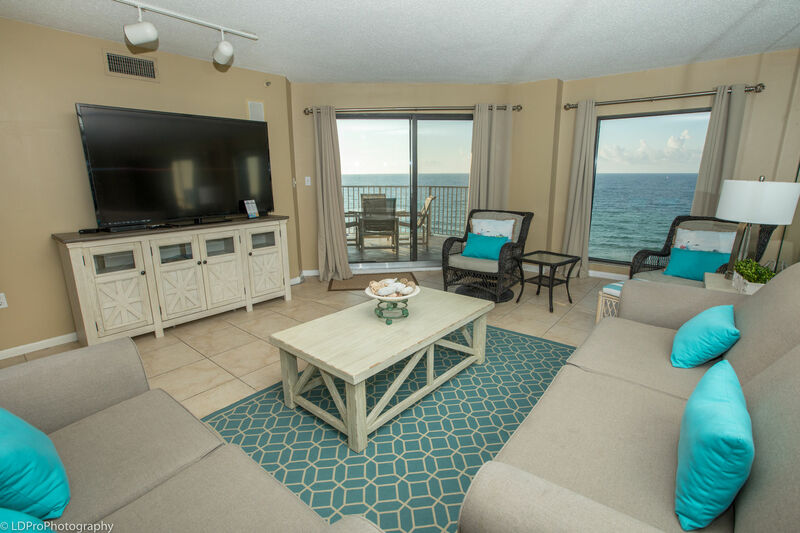 The Living Room has a brand-new love seat, and a new (2018) couch that doubles as a Queen Sofa Sleeper, a plush chair, a 70” Flat screen HDTV, a DVD player, and balcony access. 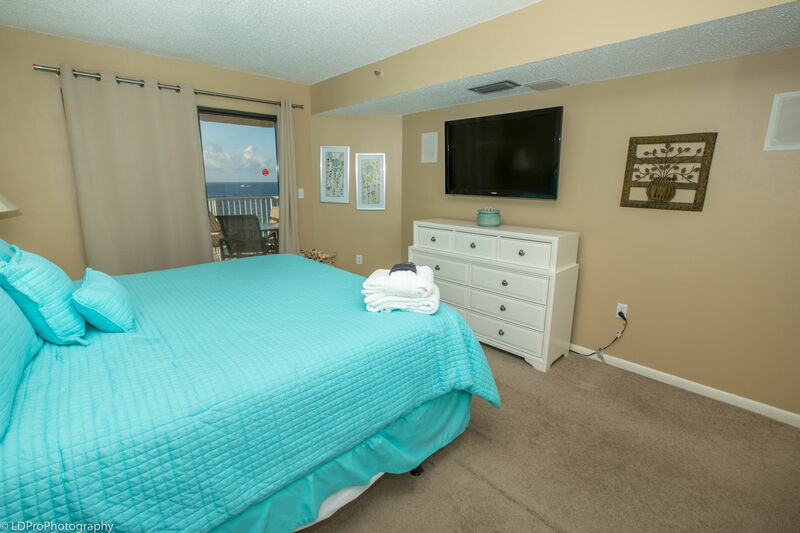 The Master Bedroom has a King bed, new dresser, a flat screen HDTV, a DVD player, and balcony access. 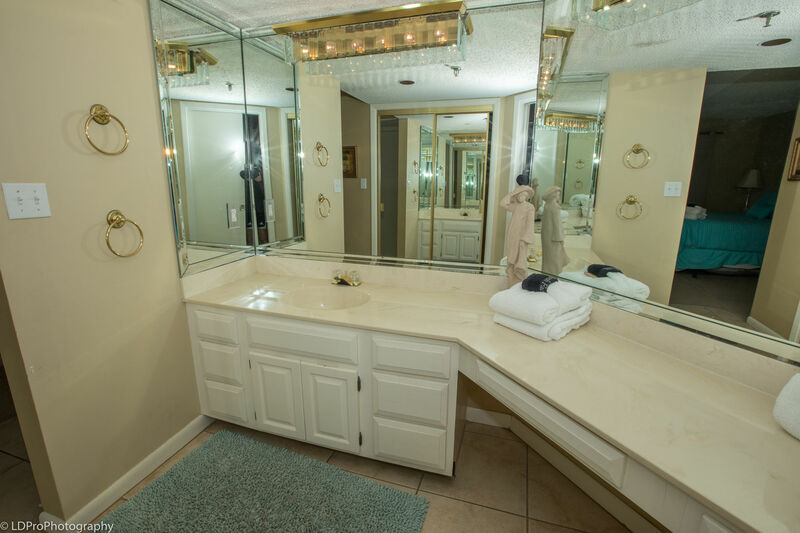 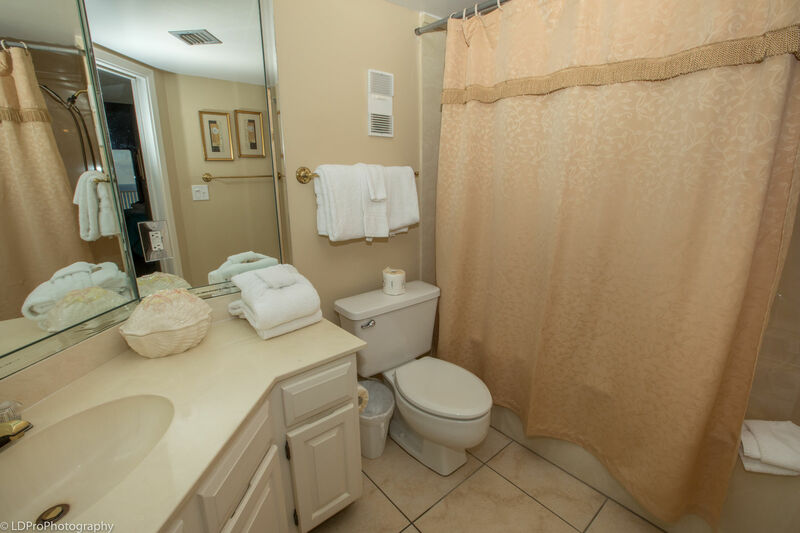 The Master Bathroom has a separated makeup area with its own sink, an additional sink, and shower. 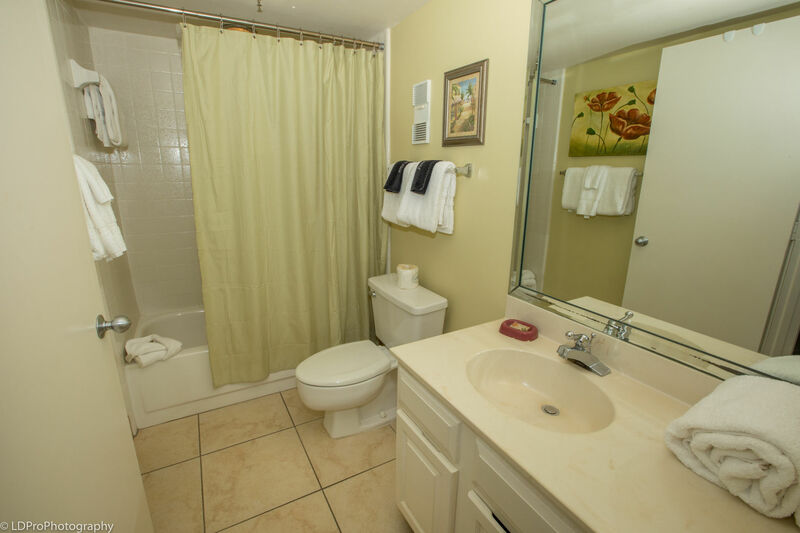 The Guest Bedroom has a Queen bed, and the Guest Bathroom has a shower/bathtub combination. 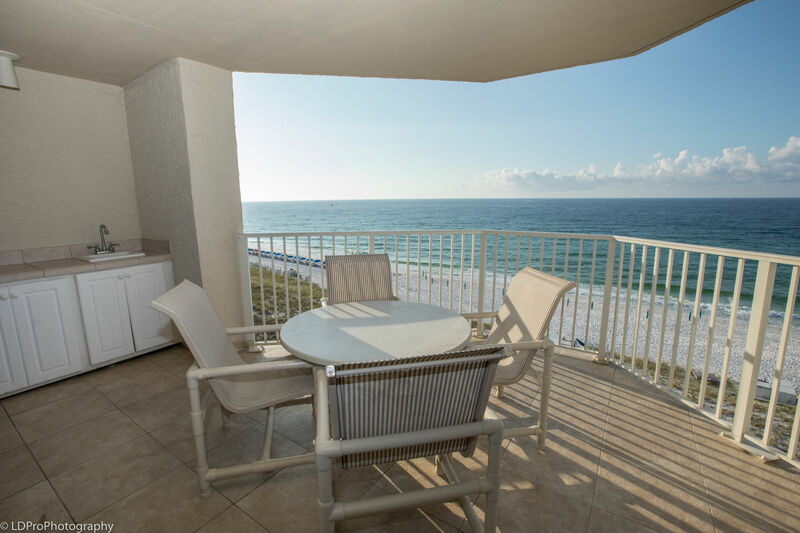 The balcony of this condo is amazing. 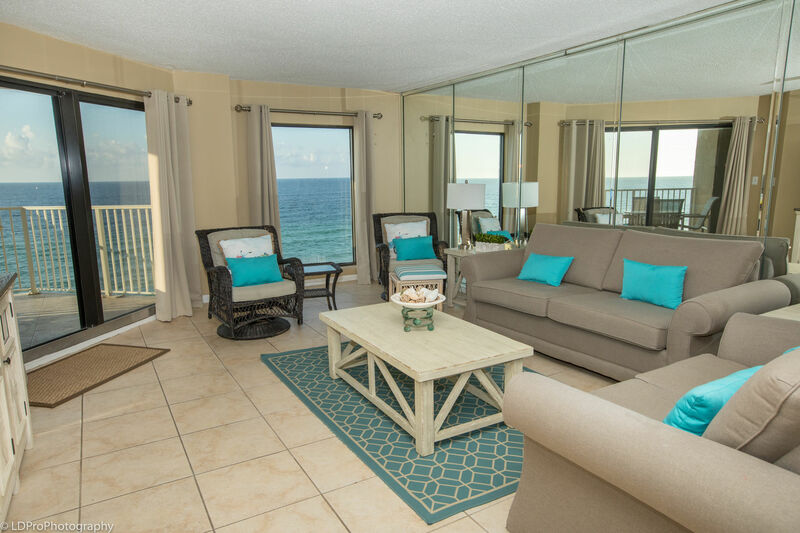 Hexagonal in shape, the balcony comes with a wet bar and an outside dining table. 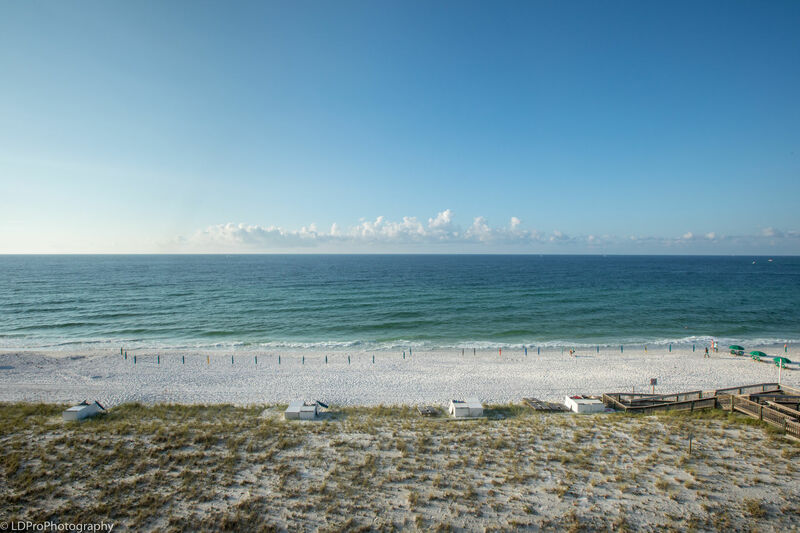 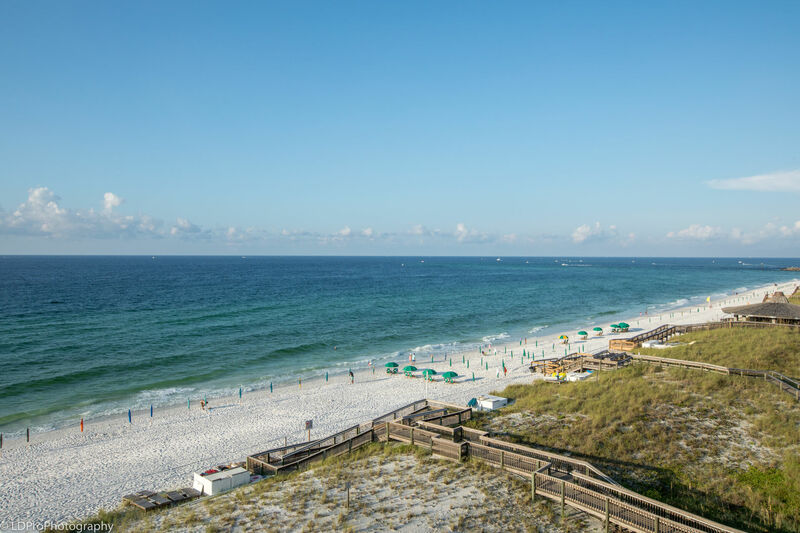 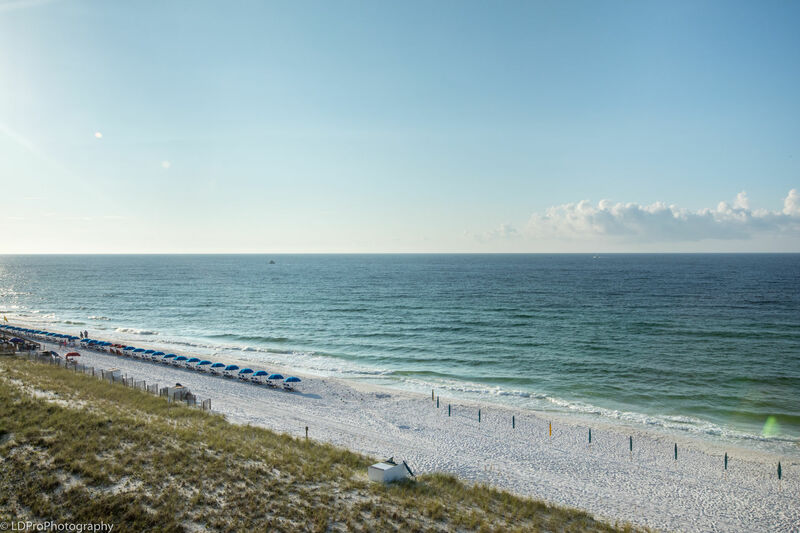 The unique shape of the balcony provides a 180-degree unobstructed view of the emerald green waters of the Gulf of Mexico and Destin’s famous powdery white beach sand. 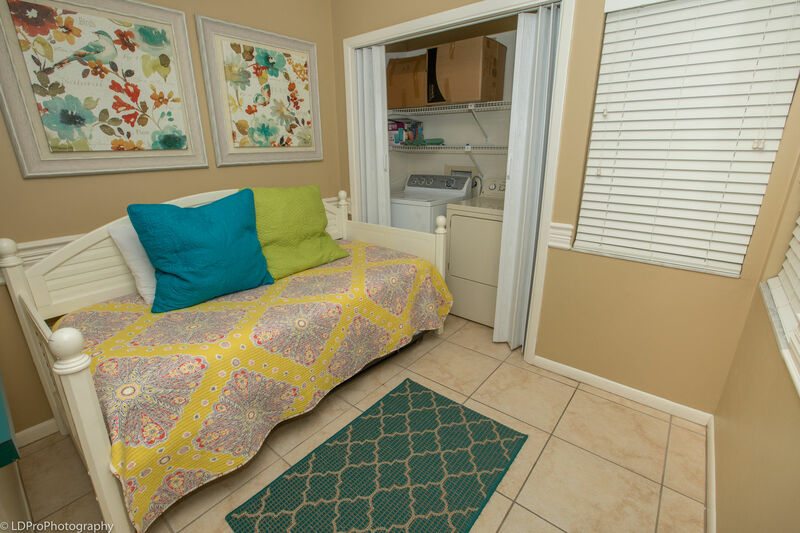 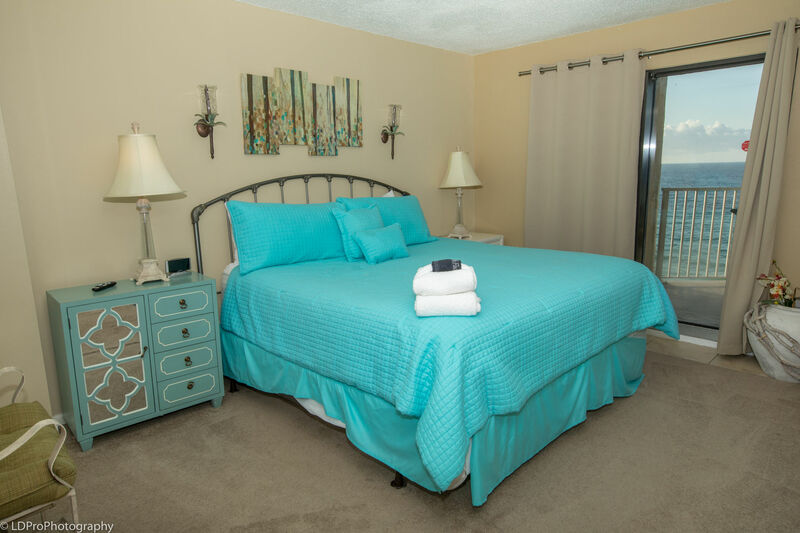 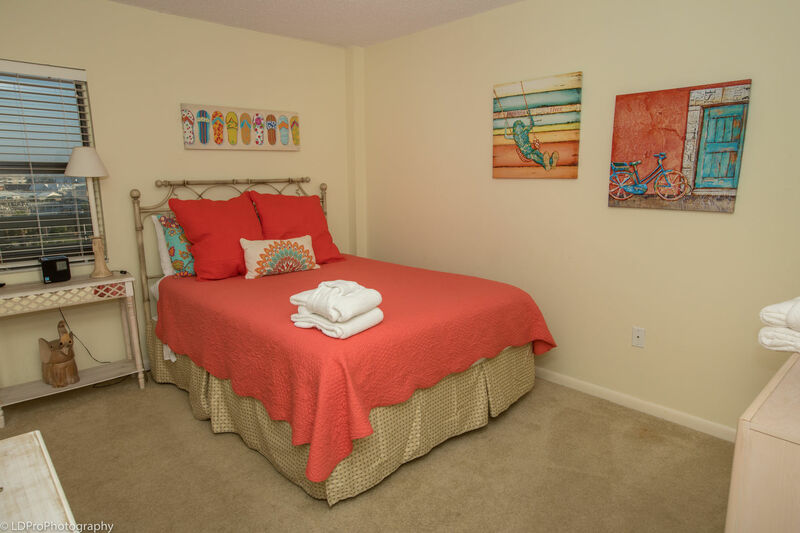 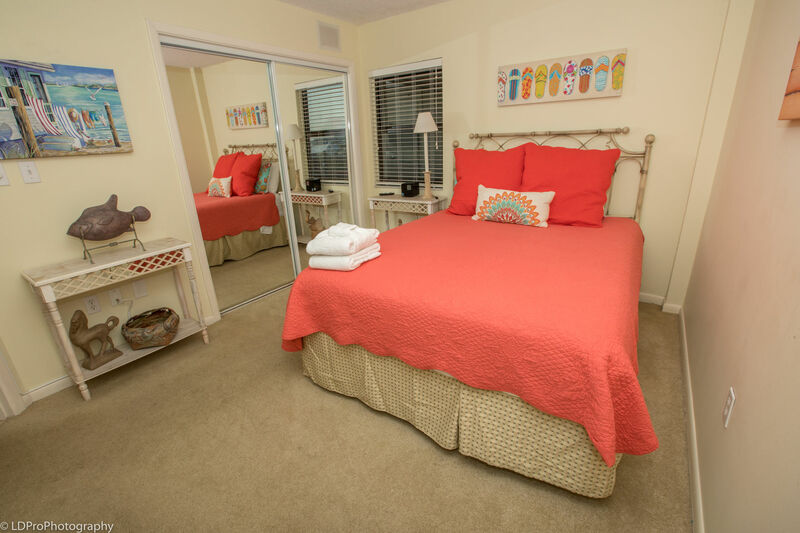 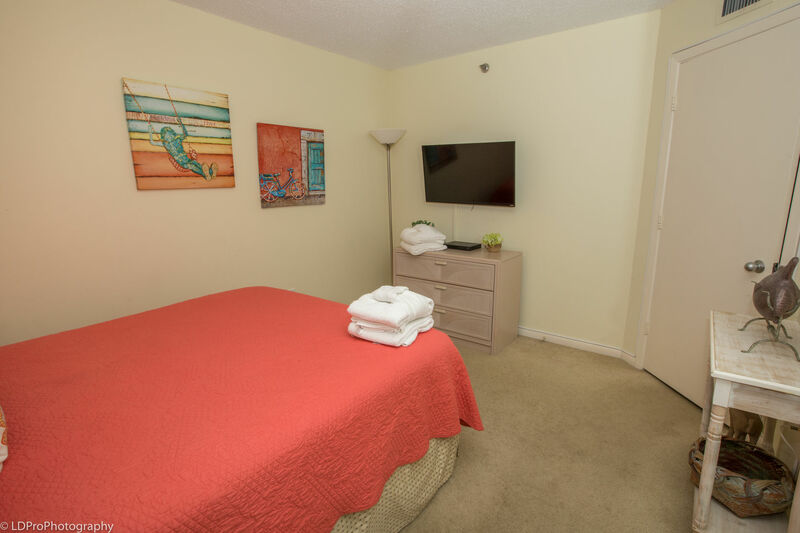 Amenities includes a full-size washer and dryer and complimentary high-speed wireless internet access. 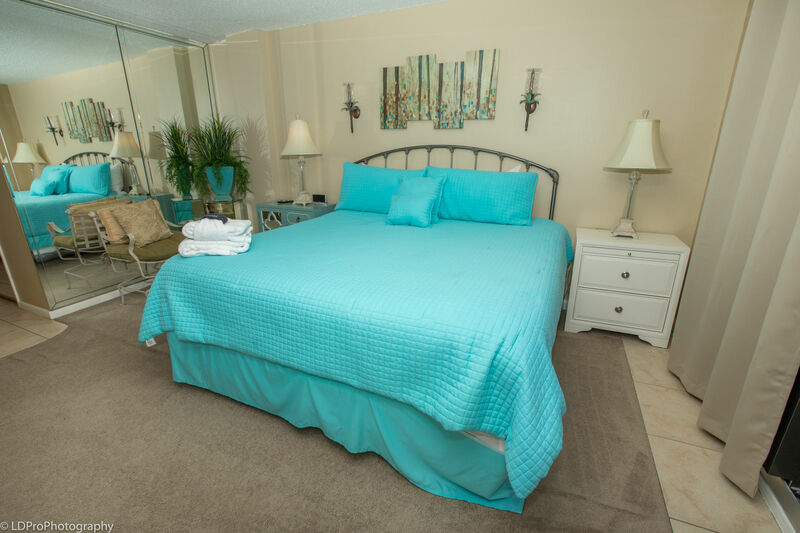 Also includes FREE seasonal beach set up (two chairs and an umbrella), book this condo today!